The type of vessel you choose to ship your cargo, and any special handling, loading or storage apparatus that should be used will depend on the type and quantity of your goods. There are a variety of common options and techniques for loading your shipment. Better known as less-than-containerload (or LCL) shipment, break bulk shipment is the most likely option to be used by new exporters, since your first orders are likely to be small. This is because your customer wants to test your product in his or her market before committing to a large quantity, such as a full container load or more. To control the expense of small-quantity shipment, find a transport company who specializes in break bulk, goods that must be loaded individually. Pallets (or skids) -- Wood or plastic pallets must be durable enough to be stacked on racks and re-used numerous times. NEVER let your cartons overhang a pallet. Your whole load might collapse! Inquire with your transportation company to see whether you must make an official statement that the pallets or skids you are using are free of insects and pests. Same holds true for importing. Request that your supplier provides a statement indicating the packing crates and wooden pallets have been treated to prevent infestation. Slip sheets -- These sheets are usually made of fiberboard or plastic. They must be strong enough for the forklift operator to clamp onto and pull your cargo to the point of loading. Slip sheets cost less than pallets and eliminate the expense of transporting pallets back to the shipper for reuse. Cartons placed on slip sheets must be cross-stacked, shrink-wrapped or secured with extra-strength strapping. Crates -- Wood crates are still popular with some shippers due to their strength and resistance to humidity, at any temperature and any point in transit. Check with your logistics specialist to make sure the country of destination accepts your type of crate. Some countries are leaning toward environmentally safe crates and others may ban wood altogether due to pest concerns. Bulk loading by machine or hand (with bulk commodities, for example). Hand-loading individual shipping containers, with or without pallets. Unit loading of palleted or slip sheet stacks into containers with forklifts. 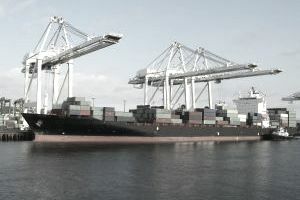 Shipment by containerload continues to be the preferred method for export and import goods because it is much more efficient, allowing ships to spend less time in port. Containers are available in various volumes and in a number of specialized constructions to accommodate various cargo types. The 20-foot container, the most popular volume, works well for startup business overseas. The 40-foot container is the second most popular choice. It's important to resist the temptation to overload this larger container, or you won't be able to move overland! For large loads, a 45-foot container is an attractive bargain because it gives you a 27% increase in interior capacity over the 40-foot unit for the same handling costs. Containers come as large as 48 feet, but these are comparatively rare. 10 standard (40”x48”x48”) pallets can fit into a 20’ dry ocean container. High cube containers are oftentimes shipped at the same rate as a standard container but offer more cargo space. Garment containers have a movable track system so that pre-pressed and pre-labeled garments can be shipped on their individual hangers, unloaded, moved right into a showroom and racked for sale. Open-top containers, designed for awkward, oversized goods such as heavy equipment, can be loaded from the top by crane. This reduces handling costs. Refrigerated containers come in high cube and wide body dimensions, and offer temperature-controlled environments that can be monitored by means of an exterior temperature recorder, a central shipboard control or even satellite transmission. Bulk-hatch containers, used for commodities such as corn and grains, can be loaded from the top or rear for easy access and minimal handling. Vented containers allow for appropriate ventilation and thus eliminate potential condensation, preventing damage to moisture-sensitive goods like tobacco, spices, and coffee. Flatrack containers, designed for moving huge goods, such as heavy equipment, lumber, and pipes, can be loaded from the top or side, thus reducing handling costs. An expandable chassis accommodates a variety of box sizes and allows for easy offloading from ship to train to truck.